In commercial office and retail businesses, we understand that tenants are your #1 priority. Frequent interruptions to operations, i.e. false alarms and ringing bells, cause frustration for your tenants; this could lead to loss of income and potential vacant properties. We provide fire and life safety services to office buildings and shopping centers, as well as some of the largest stand alone retail properties in the Chicagoland area. 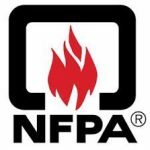 As your fire and life safety partner, we design, engineer, install, service, inspect, maintain, repair and monitor systems of all the major manufacturers in any variety of commercial and retail locations throughout Chicagoland: Office Buildings, Corporate Campuses, Retail Businesses, Shopping Centers, Malls, and More. We are all keenly aware that fires can happen in restaurants. That’s why it is important that your service provider understands the ever-changing insurance, NFPA and local regulatory requirements for installation and maintenance of kitchen hood fire suppression systems. If and when your fire suppression system activates, Fox Valley Fire & Safety has technicians available to respond quickly, day or night. This quick response will significantly limit downtime and financial loss. We are committed to getting your kitchen back into operation as soon as possible. As your fire and life safety partner, we design, engineer, install, service, inspect, maintain, repair and monitor systems of all the major manufacturers in any variety of Restaurant and Food Service locations throughout Chicagoland: Stand Alone Restaurant, Shopping Center Suites, Mall Food Courts, Cafeterias, Mobile Food Service, and More. Fox Valley Fire & Safety has been in the fire and life safety service business since 1960; the children of our employees attend many of the schools and worship assemblies that we protect. We truly understand the importance of providing a safe, well protected environment for everyone in these facilities. Fox Valley Fire & Safety knows there are a limited opportunities, throughout the year to install, service and maintain your fire and life safety systems; that’s why we have our technicians available to complete service work and inspections with minimal interruption, at a time that is convenient to meet your needs. As your fire and life safety partner, we design, engineer, install, service, inspect, maintain, repair and monitor systems of all the major manufacturers in any variety of Education Facilities and Worship Assemblies throughout Chicagoland: Preschools, Public and Private K-12, Community Colleges, 4 Year College and Universities, as well as, all types of Worship Assemblies. Quite simply, fire and safety is our business. Whether your hospital, nursing home, assisted living or rehabilitation facility requires a new life safety systems to meet new code requirements or your existing systems needs upgrading, inspection, testing or service, Fox Valley Fire & Safety is the one company that does it all. Our technicians are certified to work on a variety of manufacturer’s equipment. Bundling all of the inspection services required, makes it easy to maintain continuity of service and keep you in compliance with ADA, NFPA, IDPH and municipal code requirements. As your fire and life safety partner, we design, engineer, install, service, inspect, maintain, repair and monitor systems of all the major manufacturers in any variety of Hospital and Healthcare providers throughout Chicagoland: Large Hospitals, Clinics, Medical Offices, Urgent Care Facilities, as well as, Assisted living and Nursing Home Facilities. We understand the critical value of the specialized assets that make up your business and the importance of protecting those assets from fire. When a fire interrupts the flow of your manufacturing process or warehouse operations, deliveries are impacted, inventory can be compromised, customers are negatively impacted and profits will be lost. Fox Valley Fire & Safety offers “bundled” service contracts for all the specific fire protection services required to protect your specific business. Bundling of fire alarm, fire sprinkler, security and access systems to emergency and exit lighting and specialized engineered fire suppression systems, our pricing is fair and affordable. As your fire and life safety partner, we design, engineer, install, service, inspect, maintain, repair and monitor systems of all the major manufacturers in any variety of Industrial, Manufacturing and Warehousing locations throughout Chicagoland. When you manage multiple properties, we understand that it is not only important to provide protection of those properties, but to provide for the safety of the employees and tenants as well. When you need assistance, one telephone call is all that is required to arrange the dispatch of one of our licensed, certified technicians. Our inspection of all of your fire safety systems keeps you up-to-date, in compliance and enhances life safety for employees and residents while providing protection for each of the properties you manage. Bundling all of the inspection services you need with Fox Valley Fire & Safety, makes it easy to maintain the continuity of service and keep you in compliance with ADA, NFPA and municipal code requirements. As your fire and life safety partner, we design, engineer, install, service, inspect, maintain, repair and monitor systems of all the major manufacturers in any variety of property management and hotel locations throughout Chicagoland: High Rise Condos and Apartments, Office Buildings, Multiple Properties, Large and Small Hotels. We are your local source to provide and install Ansul, Amerex, Kidde, Pyro-Chem and Amerex clean agent, fire suppression systems to protect special hazard applications, from paint booths, data centers and mechanical rooms to vehicle fire suppression systems. Our sales team will work together to assure that the installation is completed on time and on budget. Our technicians are certified to work on FM200, Sapphire, CO2, Dry Chemical, Engineered and Vehicle Suppression systems. Your investment in equipment is substantial; we understand the importance of protecting not only that investment, but your property and employees. As your fire and life safety partner, we design, engineer, install, service, inspect, maintain, repair and monitor systems of all the major manufacturers in any variety of special hazard applications throughout Chicagoland; Vehicle and Heavy Equipment, Electronic Data Equipment, Medical Equipment, Security Monitoring Equipment, Machinery, Flammable Storage, Valued Assets, Fuel Dispensing Areas, and Fire Hydrants are just some of the applications..
Full range of service, inspection and installation services available to streamline all of your life safety and property protection needs. Over 50 Years of experience and knowledge in protecting production equipment, inventory, raw material, and other specialized assets. Minimal interruption with unobtrusive service. Schedule with one provider. Bundle all services for one location or multiple facilities saving you time and money. Continuous Fire Alarm and Security System Monitoring provides immediate dispatch of local authorities and client notification to your site in the event of an emergency. Timely notification when your inspection is due. You can depend on us to contact you to schedule all services, provide documentation, and keep you in compliance through our knowledge of your local fire code and NFPA requirements. NICET Certified Technicians and Installers are available to meet this growing requirement. Priority Emergency Dispatching 24-hours a day, 7 days a week. A knowledgeable Fox Valley Fire & Safety Employee answers your call no matter what time of the day or night to get you the help you need. The short window of time between 4 PM Saturday through 7 AM Monday, our Answering Service Notifies the On Call Manager who will promptly address your needs. Design, draw and submit to local authorities. One Company Does It All.